Months after the FCT Minister commissioned the Fraser Suites Abuja, the prestigious international hospital line and marking its debut in Africa, the Administration’s investment drive has again netted a $54 million Foreign Direct Investment (FDI) to the Territory. 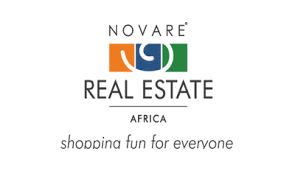 The Novare Central Mall, located in the heart of the City, in Wuse Zone 5 was developed by Novare Real Estate Africa, a private investment portfolio involved in property development across Africa. The facility consists of 7,178m2 of retail space on the ground floor, housing the popular retail line, Shoprite. Other facilities include grade-A offices, occupying three floors equipped with an access control basement parking and state-of the-art facilities. 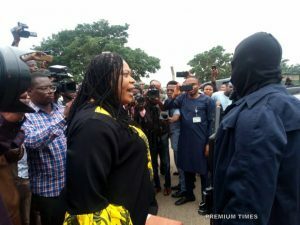 While commissioning the world class facility on Wednesday in Abuja, the Minister restated the commitment of FCT Administration to ensuring ease of doing business in the territory. His words: “Once again, I congratulate the management and staff of Novare Real Estate Africa, for yet another addition to the Novare series. I would like to pledge the commitment of FCT Administration to ensuring ease of doing business in the Territory. Malam Bello who was represented by FCT Permanent Secretary, Sir Chinyeaka Ohaa further used the occasion to call on other investors to take advantage of the territory’s friendly business environment. Earlier in his address, the Chairman of Novare Central Mall, Prof. Fabian Ajogwu remarked that the the FCT Administration under the leadership of Malam Muhammad Musa Bello has provided enabling environment for investments. Harping on the benefits of Novare Central Mall to the FCT Administration, the Chairman disclosed that already 5,000 direct and indirect jobs have been created, in addition to boosting the revenue profile of the Administration.